Voters in Oregon will soon be deciding whether to allow illegal aliens to receive driver's licenses, but a new statement from an official from the Transportation Security Administration (TSA) is creating confusion about how these cards will be used and raises the question of whether Oregon plans to violate federal law, thereby creating a national security threat to all Americans. 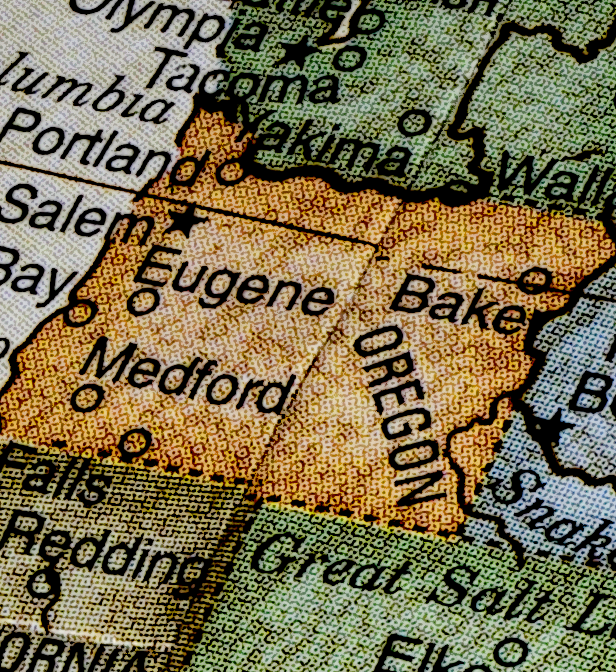 Known as Measure 88, the proposal would create a new driver's license specifically for people in Oregon who cannot prove they are inside the United States legally. Under federal law, states can issue driver's licenses to illegal aliens, but only if certain standards are met. After it was determined that the 19 terrorists on 9/11 had nearly 30 driver's licenses between them, each with varying information, the 9/11 Commission recommended some license standardization among the states. From this came the REAL ID Act, which, among other things, requires states to clearly denote on a driver's license if a person is barred from using it for federal purposes such as boarding airplanes or entering government buildings. States that issue driver's licenses to illegal aliens are required to make the license different from a standard license so that TSA officers and security guards at government buildings can easily notice the distinction and prevent the holder from boarding or entering. For weeks, conservative radio host Lars Larson has been raising concerns that the new license being proposed in Oregon would allow illegal aliens to board airplanes in direct violation of the REAL ID Act. The fact-checking group PolitiFact decided to look into his claims and determined that Larson is correct. This has the potential to be a huge problem for supporters of Measure 88, which include the SEIU, the ACLU, the AFL-CIO, and a cornucopia of other groups, businesses, and individuals supportive of illegal immigration. A website supportive of the initiative lists the measure's over 200 official supporters. Working to prevent illegal aliens from getting driver's licenses are Oregonians for Immigration Reform and Protect Oregon Driver Licenses. We contacted a TSA official on our own, Nico Melendez, a Western Region TSA spokesman in California. Melendez, after checking with Oregon officials and administration attorneys, said in a telephone interview: "State-issued driver cards would be acceptable forms of identification for our document-checkers at the airport. At this point, the understanding is that a card like this would be an acceptable form of identification." Supporters and the ballot measure itself say the cards could not be used to board airplanes. But TSA officials — the people checking passengers onto planes — say otherwise. We rule Larson's claim True. While the TSA does not conduct immigration checks, it is obviously tasked with determining whether people are allowed to board airplanes and one thing TSA agents look for is a valid form of identification, usually a driver's license. Under the Oregon proposal, the only language on this matter requires that the proposed licenses contain the words "driver card" and "may not contain the words 'driver license' or 'driver permit'." The proposal also requires "A feature distinguishing the driver card from a driver license and driver permit." The proposal leaves it up to the state's Department of Transportation to decide what that feature should be. But advocates of illegal aliens are less concerned about national security than they are about the interests of illegal aliens and have been working to make these special licenses as indistinguishable from the real thing as possible — even if it makes the job of security officers more difficult. A recent example of this is the effort of illegal-alien supporters in California who were able to get state officials to come up with a license that was so indistinguishable from the real thing that even the Obama administration slapped them down. I wrote about their dangerous proposal and provided images of the indistinguishable licenses, here. It should also be noted that the proposed measure would instruct Oregon officials to accept foreign consular documents as proof of an illegal alien's identity. These consular IDs are completely unverifiable by U.S. officials and have been considered a national security threat by the FBI. If the TSA official interviewed by PolitiFact is correct, the Oregon proposal risks putting illegal aliens with unverifiable backgrounds and identities on your next flight.